Today is the second Monday of the new year, and as per the tradition that goes back decades, the Judiciary hosted the ceremonial opening of the Supreme Court. 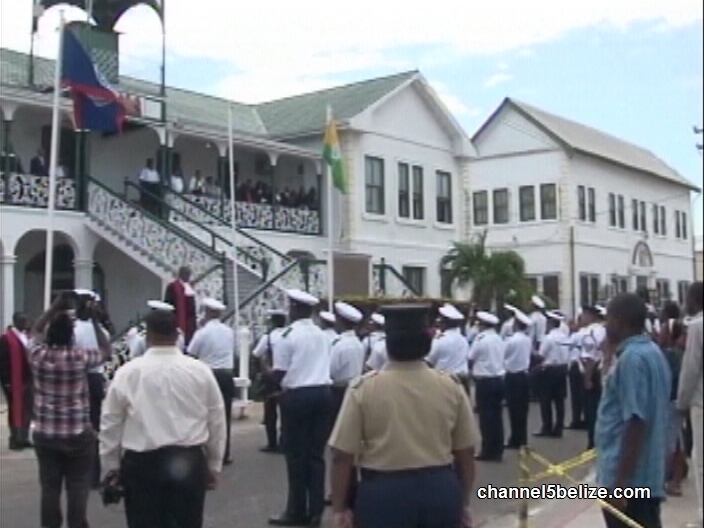 This year's ceremonial opening of the Supreme Court began at the Holy Redeemer Church in Belize City, where the Supreme Court judges, the magistrates, the court's staff, and the bar all gathered for a morning mass. At its conclusion, the judges lined up and led a march through the downtown area, giving the public an opportunity to get a glimpse these mysterious personalities who dispense judgments from the Bench. 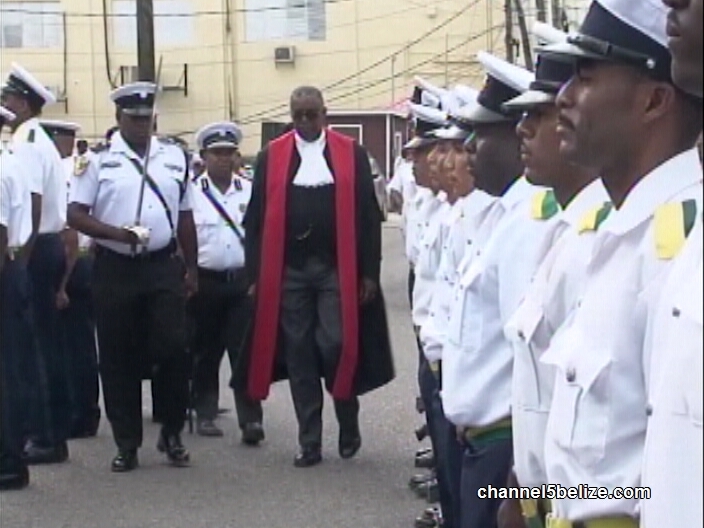 The Chief Justice was joined by the newly appointed Police Commissioner, and behind them was a procession of attorneys: both newcomers and veterans. And once the parade of black robes arrived at the Court House, the usual police honor guard was there to greet judges for completeness of the ceremony. From there, everyone joined the Chief Justice in his courtroom for the only session of the entire year in which the Supreme Court allows cameras and recording equipment inside the courtroom. The Chief Justice focused his main address on the court's continued effort to stay ahead of the large number of criminal cases, especially for defendants charged with murder, that keeps stacking up on a monthly basis, every year. "In 2018, there are an aggregate of 818 civil claims, inclusive of petitions for bail filed." 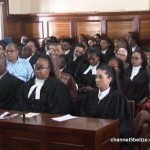 "As of December 31st, 2018, the statistics made available from the Kolbe Foundation revealed that there are 260 persons remanded by the Magistrate's Court and Family Court. 182 are remanded by order of the Supreme Court, of which 9 persons are awaiting sentence, decision after trial, and extradition. 1 person is detained at the pleasure of the Supreme Court. Of the remaining 172 cases awaiting trial before the Supreme Court, 74 remandees have been have in custody prior to the end of 2016. The overwhelming majority are cases of murder, and these matters will be prioritized for disposal in 2019." "In 2018, it was announced that 2 temporary judges would be engaged to specifically address backlog reduction efforts for a period of 1 year. That process was mobilized in Belize City, and in the Southern Session of the criminal division. Hon. Mr. Colin Williams commenced sitting in the central district in Belize City from March 5th, 2018. His excellency the Governor General was pleased to appoint the Hon. Mr. Justice Francis Cumberbatch as a Justice of the Supreme Court from February 2nd, 2018." "His Lordship was assigned to the Central District sitting along with the Hon. 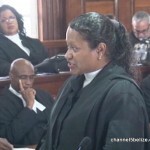 Madam Justice Antoinette Moore in the City of Belmopan, and thereafter in the Southern Sessions in Punta Gorda in the Toledo District, and Dangriga in the Stann Creek District." "With a full complement of judges to serve the criminal division, supplemented by 2 additional justices devoted to backlog cases, the results were extremely encouraging. In January 2018, Madam Justice Williams inherited a dormant list of 131 cases formerly before retired Justice Gonzalez. Over the year, an additional 24 cases were added. 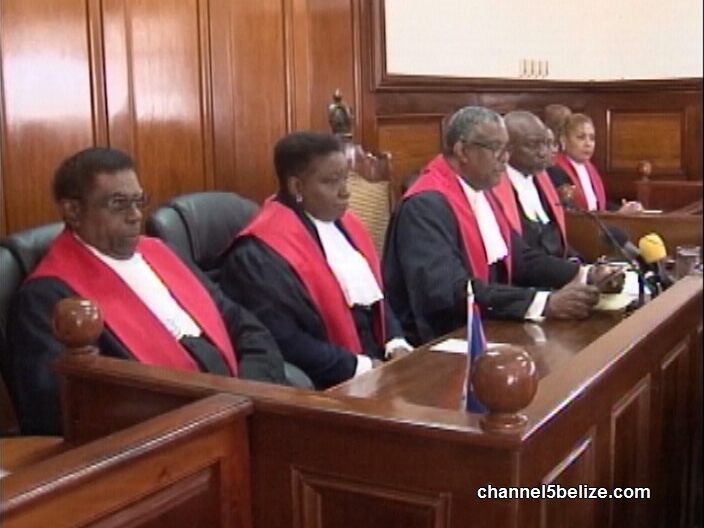 Approximately 40 of the older cases from the original list were reassigned to Mr. Justice Colin Williams, and as of November 15th, 2018, with both Justices Williams sitting in Belize City, they have disposed of a total of 62 cases, respectively. 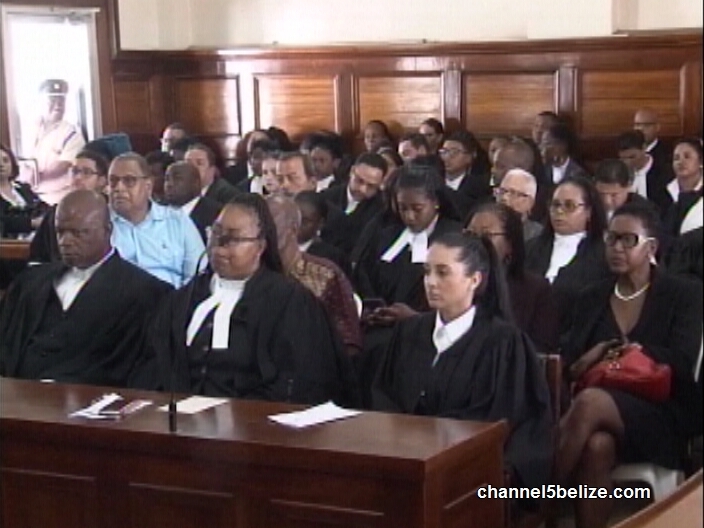 Over the period of January to December 2018, also sitting in Belize City, Mr. Justice Lucas disposed of 21 cases. At the end of 2018, Justice Lucas' list stands at a 112 cases." "I'm pleased to report that all murder cases up to 2016 have been heard or otherwise disposed of." And even more work that the Supreme Court judges have to include into their packed schedule of criminal cases, is the re-sentencing of 23 prison inmates who are serving mandatory life sentences for murder conviction. 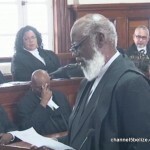 As viewers are aware, the Court of Appeal and the Caribbean Court of Justice have both scrapped mandatory life sentences for persons convicted of murder. 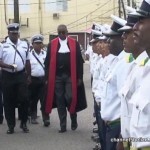 "In the consolidated appeals of Gregory August and Alwin Gabb, delivered on the 29th of March, 2018, the Caribbean Court of Justice, in its judgement, ordered that sentences of all persons serving mandatory life imprisonment for murder be vacated, and that all such convicted inmates be brought before the Supreme Court to be re-sentenced." "The process affects 23 inmates, and to date, 4 have been re-sentenced. The exercise is being shared between myself as Chief Justice and the 5 justices of the criminal division." 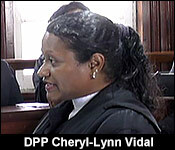 At the conclusion of the Chief Justice's remarks, the President of the Bar Association, DPP Cheryl-Lynn Vidal, was invited to address the gathering. To our knowledge, it was her first opportunity to do so. "This address, using all 5 minutes afforded to me, will be an undecorated account of the work that the Bar Association has done in the past year, the work it is doing now, and the work it will do before the present executive's term comes to an end." "The executive highlighted 3 main areas that it should focus on, continuing legal education of its members, and being at the forefront of addressing matters of concern to the profession, providing legal representation in a matter that promotes the interests of justice, and doing its part to protect the civil liberties of the citizenry." The Bar held 3 fora over the course of last year to educate its membership on the implications of important judgements that have come from the Supreme Court, the Court of Appeal, and the Caribbean Court of Justice. Among them were discussions on the Gregory August case, that you heard the Chief Justice discuss earlier. Other matters of interest that caught our attention from the President's address were the legal issues surrounding last Year September's State of emergency which was declared for Belize City's Southside to get control of crime, and the Bar's interest in educating the public on the upcoming ICJ vote. 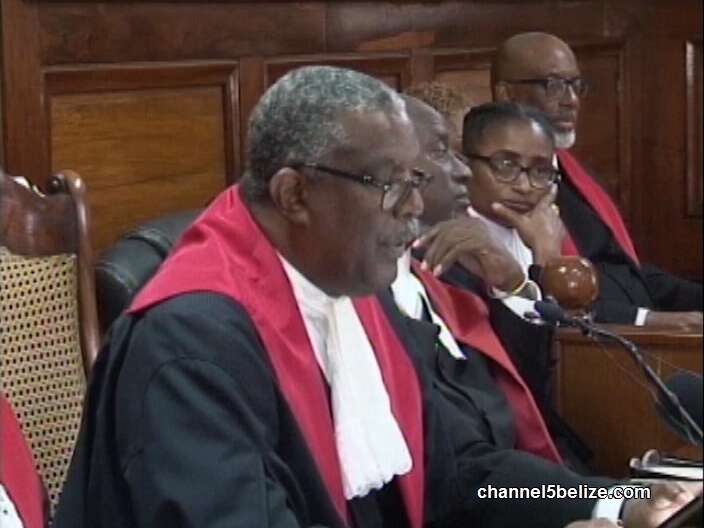 "One of the issues for the Bar Association was the State of Emergency that was declared in September of 2018, and which saw over a 100 persons detained. And so, in our third legal forum, Mr. Leeroy Banner, who was the attorney for some of the persons detained, addressed us on the legal and social issues surrounding their detention. Nuri Muhammad also joined us, along with 5 affected persons, who gave us first-hand accounts of what they say are the challenges to the enjoyment of their civil rights even beyond the State of Emergency. The final phase of this continuing legal education will be the Bar Association's Annual Law Conference during the week of February 4th." "One of the major activities in that week will also be a public forum in relation to the upcoming ICJ referendum. The aim of the Association is to assist in public awareness and education, so that voters can make a properly informed decision." Justices Adolph Lucas and Denis Hanomansingh have reached the mandatory age of retirement from the bench, and so, the Supreme Court is on the look-out for judges who will be selected to replace them. 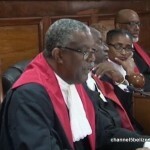 The 2019 sitting of the Supreme Court opened this morning with the fanfare that traditionally accompanies the event. 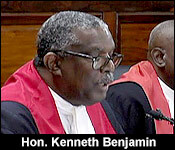 The address on the administration of justice was delivered by Foreign Minister Wilfred Elrington on behalf of the Attorney General Michael Peyrefitte. The Chief Justice reviewed and reflected on the work of the court. He noted that the budget was small, but there is progress on the prickly issue of backlog of cases. 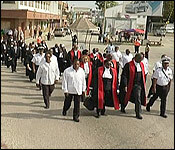 Criminal cases remained a challenge in the calendar of the courts. News Five’s Isani Cayetano reports. A new legal calendar was ushered in by the judiciary today, fourteen days after the start of 2019. As per tradition, the new year was rang in with all the pomp and circumstance that accompanies such a grand affair. 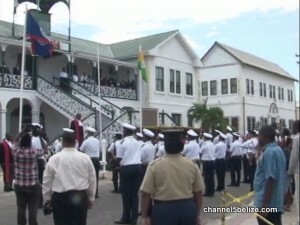 At the foot of the Supreme Court, the sharply dressed rank and file of the Belize Police Department stood in neatly formed rows, as they were carefully inspected by Chief Justice Kenneth Benjamin. The inspection, part of the official ceremony, succeeds an inter-faith service at Holy Redeemer Cathedral. 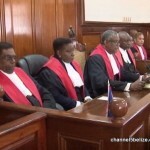 Those formalities having been taken care of, the presiding judge of the Supreme Court addressed a gathering of judicial officers, including members of the bar association and the Attorney General’s ministry. His presentation touched on the successes and failures of the legal system over the last twelve months. With a much smaller allotment to manage its administrative affairs, the judiciary is faced with many challenges. Those include the timely settlement of cases that go before the high court, in civil and criminal matters. Those numbers are whittling down persistently, however, crime and violence remain crippling social issues that weigh heavily on the criminal justice system. Senior Counsel Wilfred Elrington, who has held the post of chief legal officer, deputized for Attorney General Michael Peyrefitte. 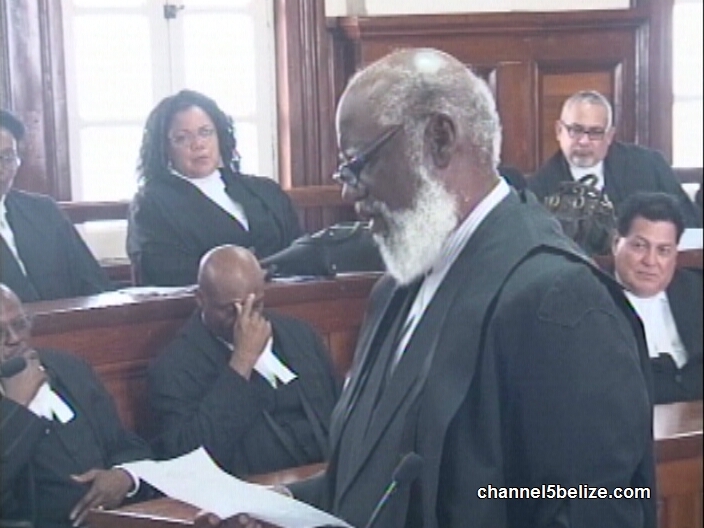 While former Attorney General Elrington stood in for the sitting AG, what are his views on the present state of affairs in the court system? 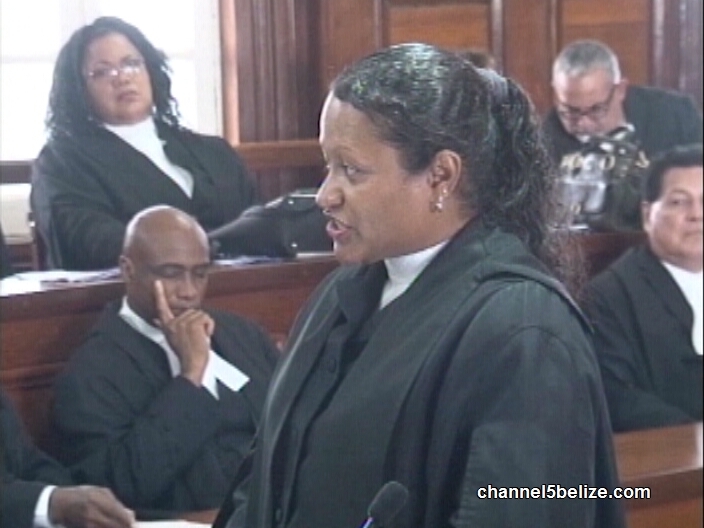 President of the Bar Association of Belize Cheryl-Lyn Vidal, also the Director of Public Prosecutions, spoke on the mandate of the legal fraternity in contributing to the development of the country.